A storm hit New York this past week – and it had nothing to do with recent natural disasters. New York Fashion Week came and went, leaving many inspired, in shock (at the latest trends), or a combination of both as editors, buyers, and influencers ran across the island of Manhattan for another season of life imitating art (or vice versa). 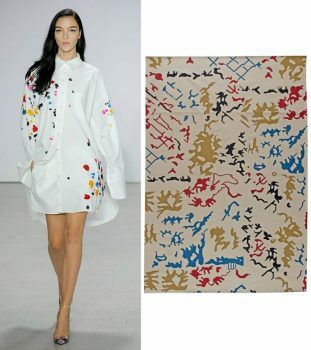 A new artistic renaissance was in the air this season, with designers like Oscar de La Renta, Michael Costello, Monse, Alice & Olivia, Leanne Marshall (to name a few) bringing out their inner Monet’s as they re-created fantasy worlds in order to engage fashion week bystanders and bring them into the stories that are their latest 2018 spring/summer collections. Shown below, the lines between art & design have become increasingly more and more blurry. In today’s story, we’d like to highlight how set-design is as important as the beautiful garments that make their way down the runways. 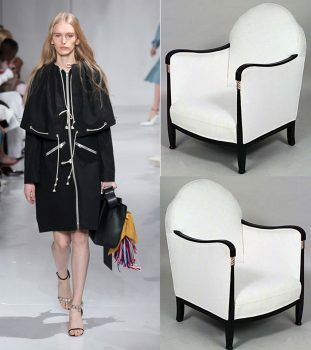 While some designers opt for a simplistic runway – full-eyes on the garments with no distractions – others create their story with backdrops that are just as transformative as their latest collections. 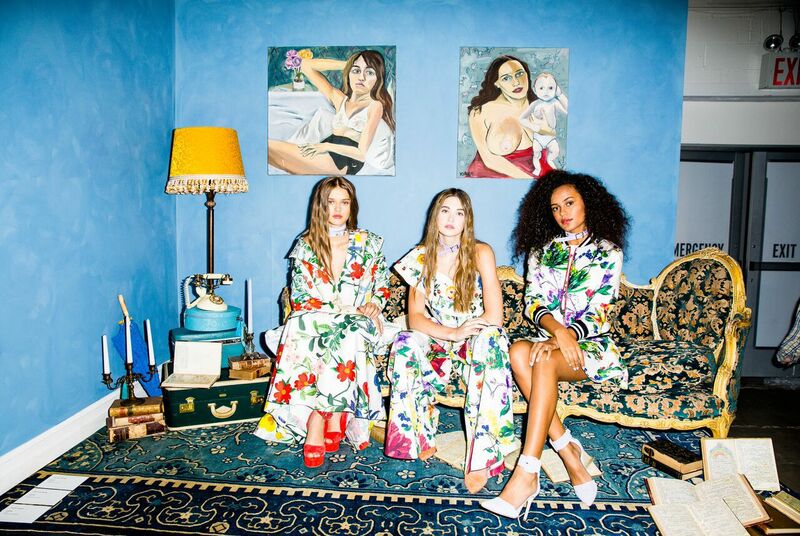 Alice + Olivia by Stacey Bendet’s Spring 2018 collection represents artistic optimism. Set in Bendet’s re-imagined version of the Chelsea Hotel, the collection is featured in the rooms of the modern artists that she envisions inhabiting the hotel today. 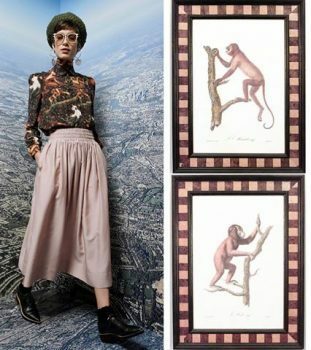 For Bendet, the collection inspired art and art inspired the collection. Bendet collaborated with a group of female artists who came together to create an interactive gallery of fashion and art. Check-in to today’s latest trends, or check-out of the game completely. Iconic. Michael Costello debuted his Spring / Summer 2018 collection on Friday, September 8th during a presentation at Robert Miller Gallery, for the first time showing his couture and bridal collections together. The artwork? Models of all shapes and sizes – true beauty has no limits. The Spring / Summer 2018 collection invites women to step into a secret garden where humanity and nature entwine, which is conceptualized through soft treated organza, exquisite embroideries, and lace overlays. Michael Costello also introduced his first seasonal bridal collection which boasts an array of styles from ball gowns and cocktail dresses to more playful pieces, such as a lace embroidered bodysuit paired with a full silk skirt. Florals for spring….actually are ground-breaking! Venturing into her third collection with Puma FENTY x PUMA, RiRi aims to break all sorts of rules (and speed-limits) with her spring/summer 2018 collection. Flanked by a huge (millennial) pink sand dune, designers powered their way with colors to create visual, moving art, one bad girl at a time. Athleisure is here to stay! Journey to Istanbul’s Grand Bazaar – a crossroads of history, cultures and modern trade. 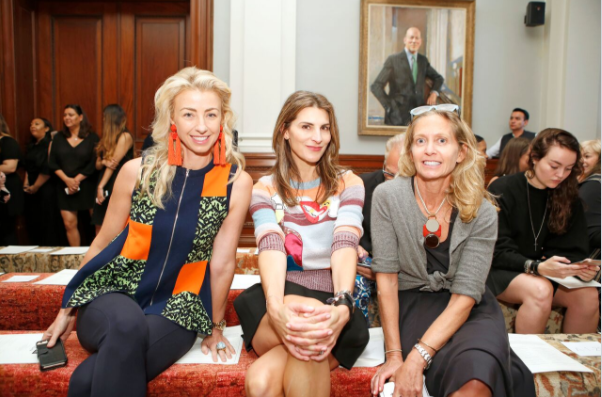 At the Sachin & Babi show the rows were upholstered in traditional Turkish rugs, juxtaposed by American classic setting that is The New York City Bar Association’s landmark building. Located in the heart of Manhattan on West 44th Street, between Fifth and Sixth Avenues, on “Club Row.” the pillars, arches, and antique wooden-doors created the feel of old-world sophistication for the new era of fashion lovers. Here, among the merchants and craftsman is where the Spring/Summer 2018 collection was conceived. 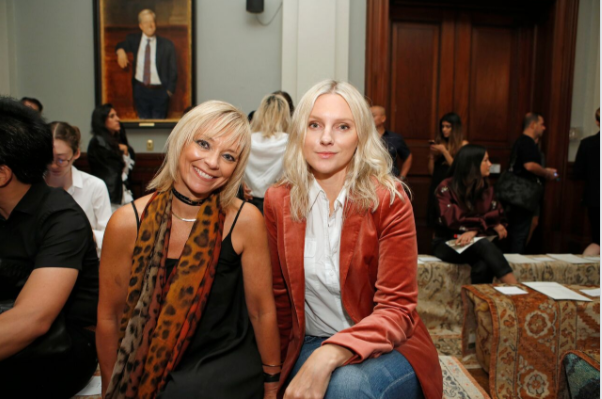 Inspired by the Middle Eastern market’s captivating energy as well as French fashion muse, Loulou de la Falaise’s, eclectic bohemian spirit, Sachin & Babi’s show celebrates diversity and the marriage of old world charm with effortless, contemporary style. Don’t be afraid to mix & match in design, fashion, or life. Take every experience you love and cherish and find a way to incorporate it into your own style! Eclectic = chic.